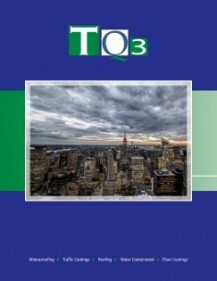 January, 2015 | TQ3 North America Inc. 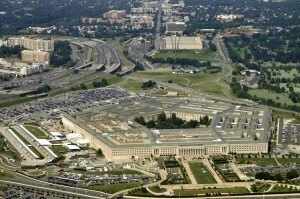 Welcome to our new website and company blog. The blog is designed to bring you company news and updates – typical items will include interesting projects, new product developments, news from our Technical Services business and generally anything newsworthy. 2014 was a landmark year for TQ3, we increased revenue by over 300%, we moved (yet again) to new premises to accommodate that growth. Significant investment was made in new processing equipment, additional personnel were brought in and TQ3 Technical Services was established. We would like to thank all our customers, architects, waterproofing consultants, developers etc. for your support and look forward to working with you on future projects. 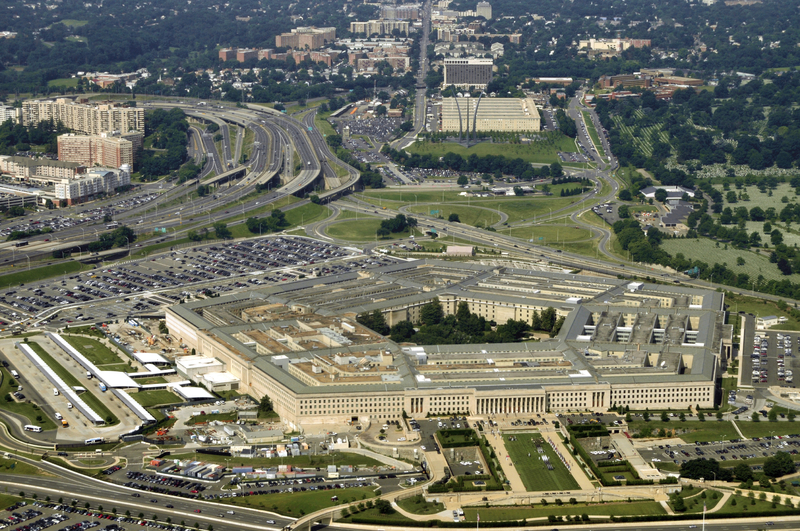 TQ3’s odor free fully reinforced Polydeq system with traffic coating has recently been used to waterproof approximately 30,000 sf of mechanical rooms at The Pentagon. 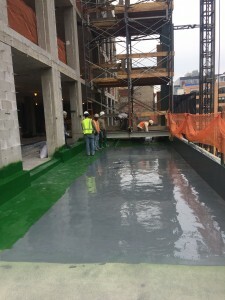 Approved installer Prospect Waterproofing carried out the work, in the past 5 years Prospect have installed approximately 500,000 sf of TQ3 systems in the DC Metro and Baltimore area. 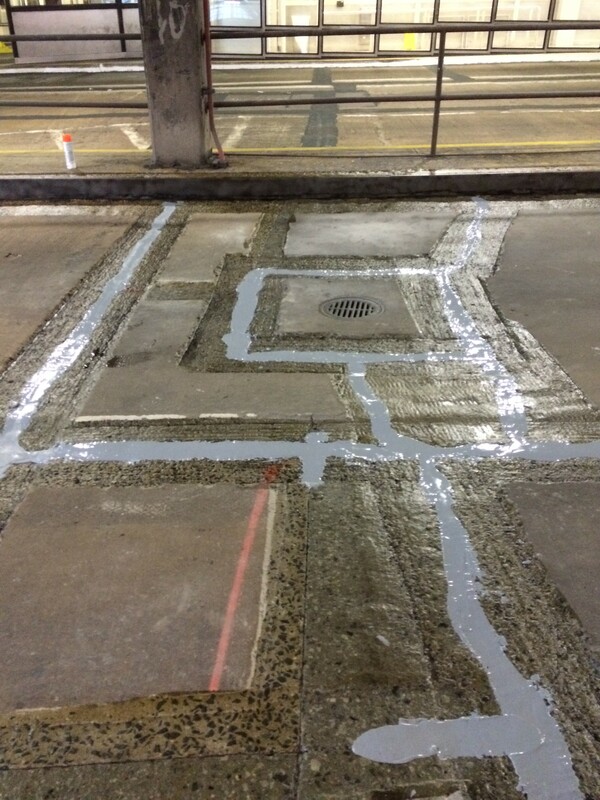 TQ3’s Pumadeq system was recently used at New York’s Port Authority Bus Terminal to waterproof the roadways to prevent water ingress in to the terminal building. Work was carried out over 4 weekends by approved installer Structural. 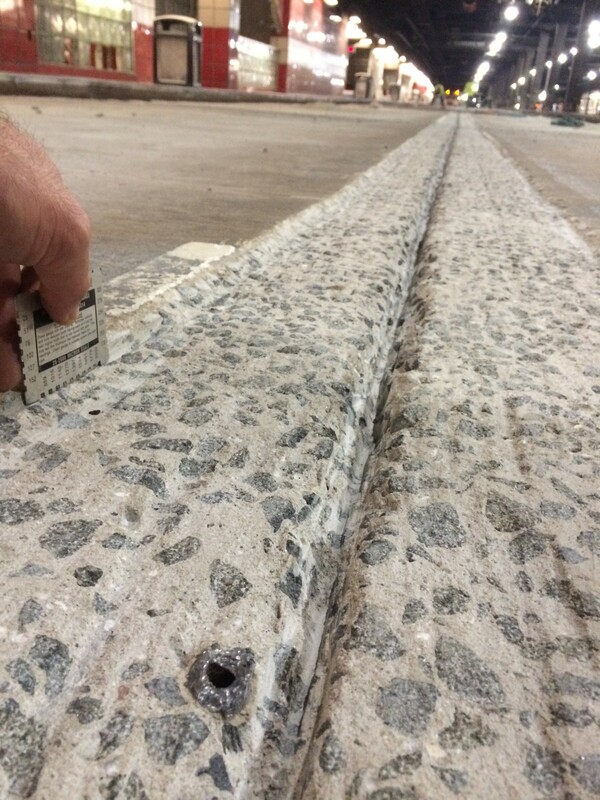 This challenging project involved carrying our recessed repairs to the control joints, caulking with Puma resin, installation of membrane and traffic coating system. 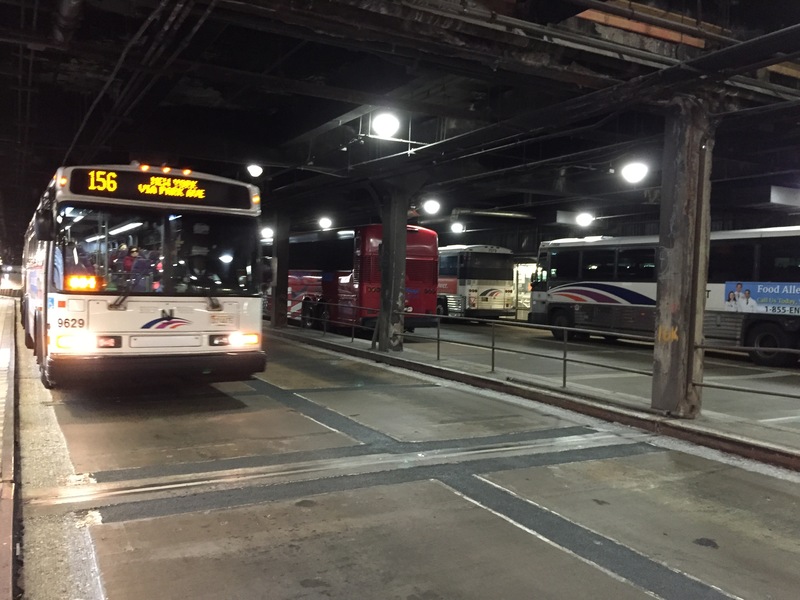 The terminal has around 8,000 bus movements every weekday, Pumadeq’s fast turnaround times (can be trafficked after 45 minutes) and highly durable finish were key factors in the client’s decision to use our system. 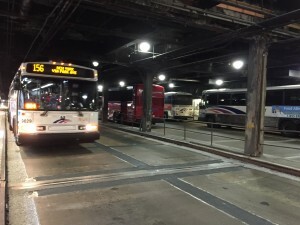 460 Washington St, New York, NY. 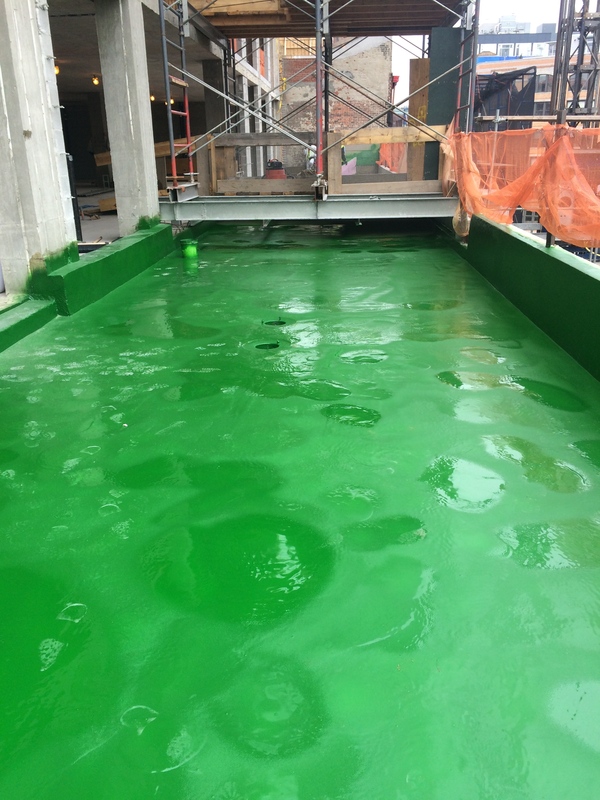 Prodeq has been installed at a new residential development by Related Propertied in Manhattan’s Tribeca district. The system was first installed on the 8th floor terrace to allow a crane to be placed directly on top of the Prodeq, without the need for protection. Because of tight time schedules the client specified our GC Primer which allows installation after just 4 days. 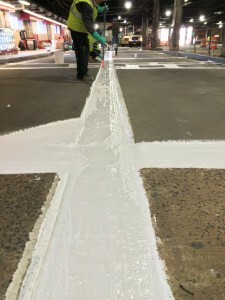 GC Primer is a specially formulated 100% solids epoxy that is alkali and moisture resistant. 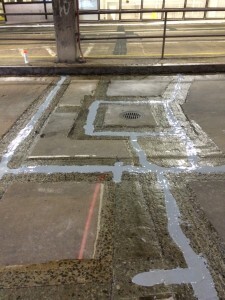 Prodeq incorporates our unique spray hybrid instant setting membrane. Approved installer MRS of Hackensack in New Jersey worked closely with TQ3 Technical Services to ensure a successful outcome. The main roof terrace was waterproofed with Prodeq which has pavers and a partial green roof. 460 Washington St Terrace – FX 400 Spray from TQ3 North America Inc on Vimeo. We are launching our new Systems and Applications brochure this week, designed to summarize and highlight the main uses of our systems throughout the building envelope. This entry was posted in January 2015 on January 28, 2015 by .